Autumn is a beautiful time of year with the leaves on trees turning golden yellow, orange and deep red. It is also the time when we start to think about wrapping up warm and contacting Boiler Service Gloucester company http://www.hprservicesltd.com/gloucester-boilers/boiler-service-gloucester/ to come and give our boiler the once over because again we forgot to book it in earlier in the year. 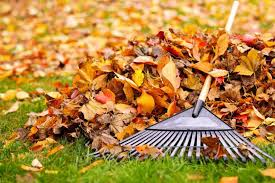 Whilst it is nice sitting in your nice warm house looking out at the Autumn scenes it can be incredibly frustrating watching the leaves fall across your lawn and garden, knowing that at some point you are going to have to clear them all up to prevent them from becoming a soggy slippery hazard. Fallen leaves can wreak havoc on your lawn. The last thing you want is for your well cared for grass to die off because of a few leaves. The reason this can happen is that like any other living organism, grass needs light and air in order to be healthy and for it to photosynthesis and grow. If leaves are left to pile up on your grass even in a thin layer, they will prevent the sunlight from reaching the grass and it then effectively suffocates. The time frame for this occurring is incredibly short and in just as little as two to three weeks your grass can become sickly and leave behind a mud patch on your lawn. Alternatively, you may find that in the place where your grass once stood moss starts to appear and spread rapidly through your lawn area. 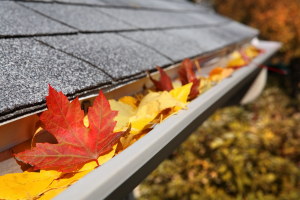 If leaves fall on other areas such as your guttering and driveway, they can cause your drains to become blocked and potentially cause issues during rainy weather. They are also a slip hazard once they become wet. Clearing leaves from any area of land is a relatively easy thing to do and there are a number of options available to you depending the size of area you have to clear and the time you have available. Some people opt for using a garden rake to collect up all the leaves that have fallen on the grass. This work very effectively by catching all the leaves whilst leaving behind the growing grass. One thing to be aware of when using a garden rake is that if you grass is a bit sickly or the area very wet you can find that you damage the grass when pulling the rake along its surface. One of the most popular methods of clearing leaves is to use a leaf blower, this is much less labour intensive than using a rake and menas you can blow the leaves into one pile before picking them up and either disposing of them in your garden waste or perhaps using them as leaf mulch on your flower beds.